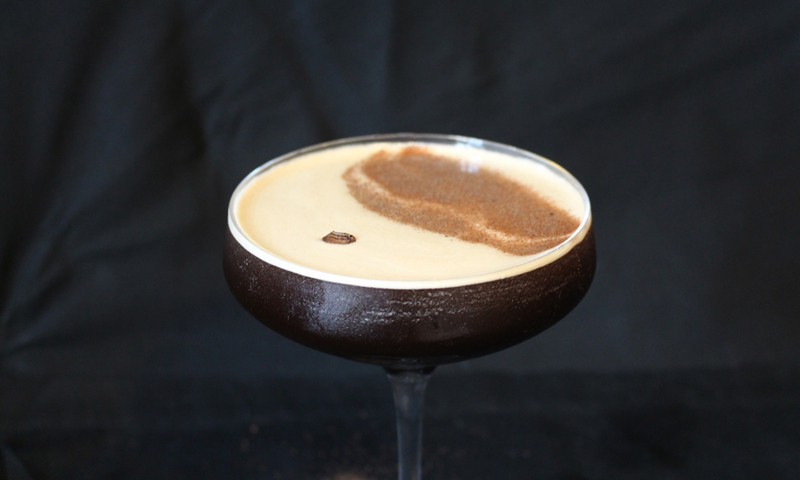 Over the past couple of years the espresso martini has taken off in a big way. There’s not many cocktail bars that don’t have their own version on their menus, even some restaurants are getting in on the act. You can make an a pretty good espresso martini with vodka, Tia maria and espresso but it’s a little boring. The best espresso martini i’ve had was in Evil Eye Lounge, a cocktail bar in York and they use Patron XO CAFE, a coffee tequila which really adds another dimension to the cocktail without overpowering the coffee flavour with tequila. This is my version based on that recipe. First thing to do is fill your glasses with crushed ice to get them very cold. If you don’t have an ice crusher you can put ice into a plastic bad and smash with a rolling pin. 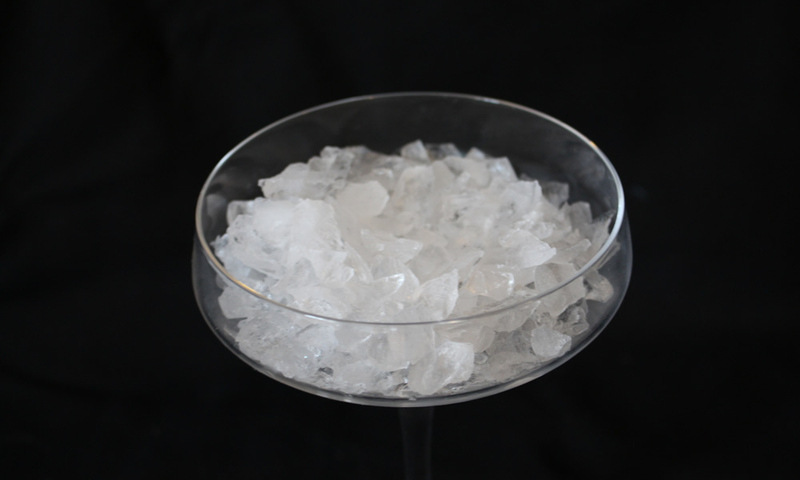 Alternatively you can put a few ice cubes in the glass with a little water or leave in the fridge for an hour. 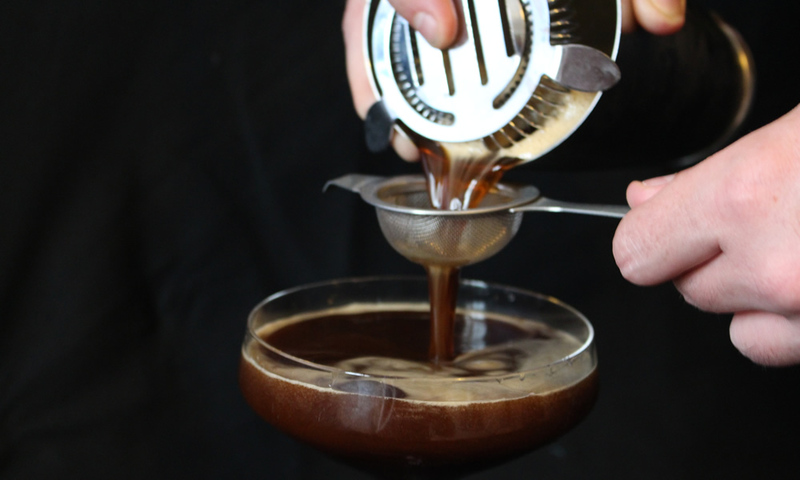 Brew your espresso with whatever equipment you have, I use a stovetop espresso maker. 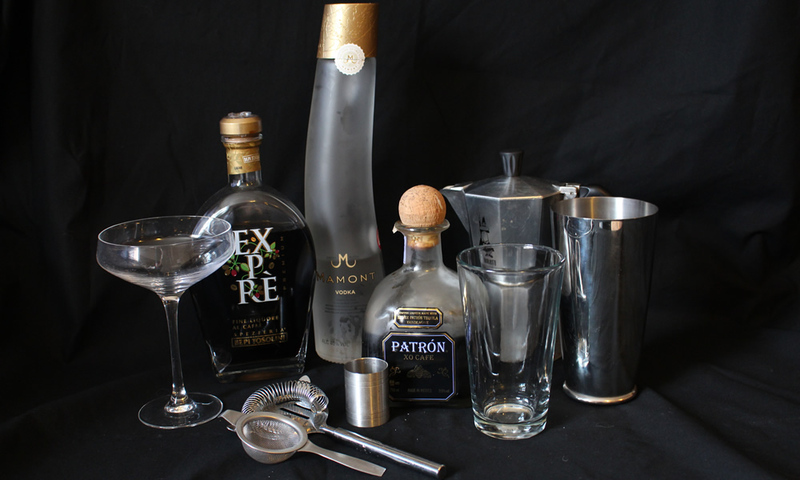 While it is brewing, add all the alcoholic ingredients to the cocktail shaker including the Gomme syrup if using. When the espresso is made add 35ml to the other ingredients, followed by a lot of ice (probably about 8-10 cubes). Top Tip: To create the chocolate coffee bean decoration you need to cut 2 slits in some foam board one 3mm wide and another 5mm about 3mm apart (pictured below). 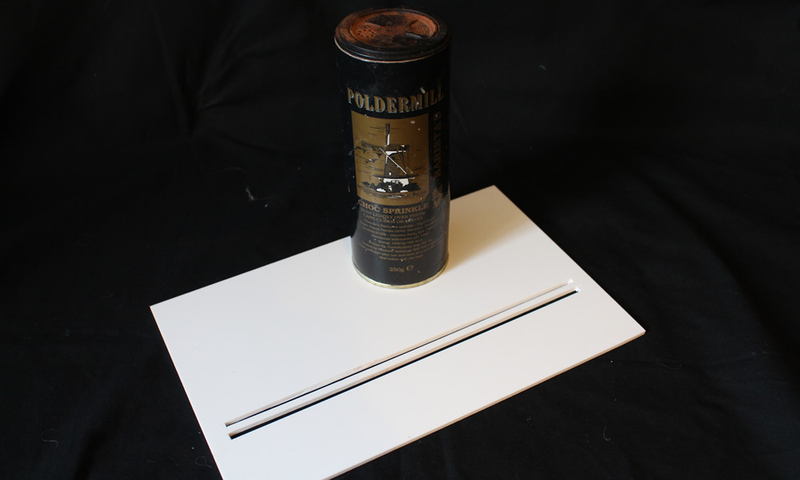 Sprinkle the cappuccino chocolate lightly using the foam board as stencil. The chocolate will spread out so put more chocolate in the middle of the stencil so it forms a coffee bean shape. It might take you a few times to get it perfect, but it makes a nice change from the usual 3 coffee bean decoration.